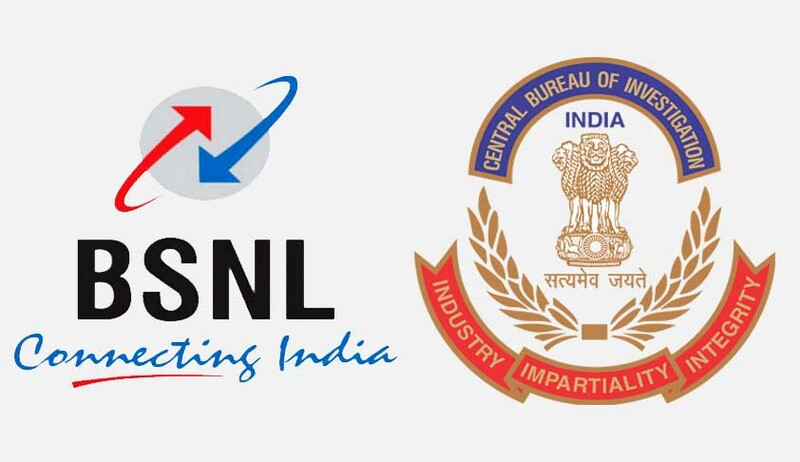 The Delhi High Court on Wednesday issued notice to the CBI on a petition seeking an investigation by the central body into allegations of BSNL's unauthorised and illegal payment to private contractor. The petition was filed by Telecom Watchdog, a society registered under the Societies Registration Act, which is working to protect the national interest and the interest of the consumers in the telecom sector. The Bench headed by Chief Justice G.Rohini has directed the CBI to file its response within four weeks. The case was posted for further hearing on 26th April. The petitioner demanded an investigation by the CBI on its complaint dated 11.03.2016, which alleged that there was a criminal conspiracy between officials of Bharat Sanchar Nigam Ltd (BSNL) and a Chinese contractor having its office at Gurugaon, Haryana. The petitioner further alleged that BSNL officials connived with the Chinese company and forged official records of BSNL by introducing a non-existent clause so that undue payments of about Rs.1,000 crore could be released to the company. “This they did despite objection by finance wing of BSNL and by hurriedly obtaining 22 signatures from different officers of BSNL in a matter of few hours on the same day. They have committed offences under Section 13(1)(c) & 13(1)(d) of the Prevention of Corruption Act, 1988, and IPC 468 (Forgery for purpose of cheating),” the petition stated. The petitioner had lodged a complaint way back on 13.03.2016, with the CBI, and after that, it did not take any action. A criminal complaint was filed before the court of Special Judge, CBI, Patiala House Courts, u/s 156(3) of the CrPC, for direction to the CBI to lodge an FIR and investigate the matter. But, the CBI opposed the prayer contending that the court of Special Judge has no jurisdiction to direct it to conduct investigation and proceed with complaints. As a result of this stand, the petitioner had to withdraw the application. Counsel for the Petitioner, Advocate Prashant Bhushan, argued that the registration of FIR is mandatory under Section 154 of the Code, if the information discloses commission of a cognizable offence in view of the constitution bench judgment of the Supreme Court in Lalitha Kumari case. The high court has asked the CBI to file its response within four weeks. The case was posted for further hearing on 26th April.